Stinger by AXE gives you the freedom to locate your hydraulic power unit and the lock release lever at any of the four corner post. This allows you the option to move the power unit and lock release handle if you should ever relocate. Our power units have plastic tanks on them. An optional 90 degree pump bracket is available. All the lock release linkage is neatly tucked away inside the cross bars. This means no more tripping or standing on the linkage rod. This feature also reduces set up time as the cross bar linkage is installed at our factory. Our heavy duty single point lock release linkage system assures a smooth and hassle free release to the safety locks located on each of your formed columns. Top of the line 1 horsepower 3450 rpm hydraulic pump for easy lifting and lowering. Pump comes with convenient push button control and 110 volt cord for easy install. Full load amp is 16.1 amps. 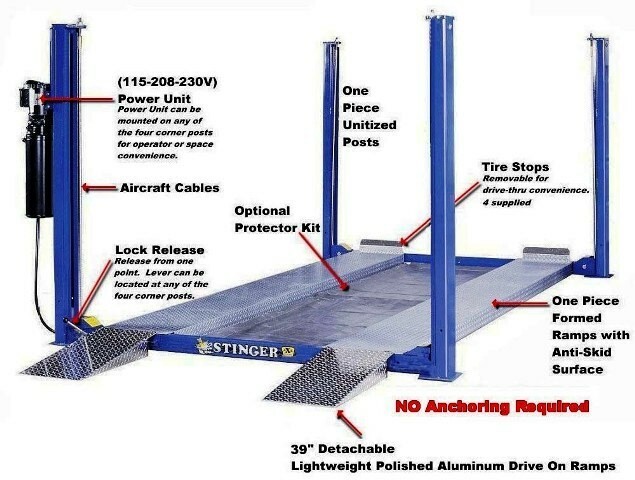 Our 39” polished aluminum drive on ramps are another great standard feature. 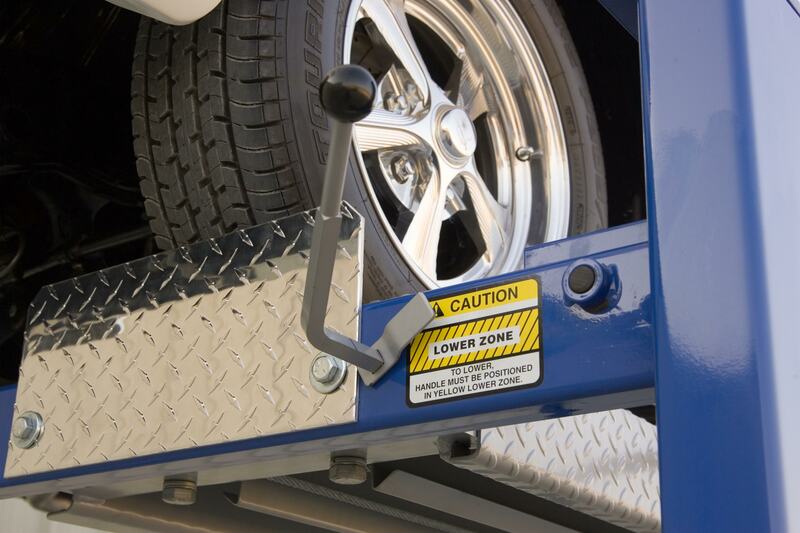 Low clearance vehicles can park safely without any drag on spoilers or the front end components. 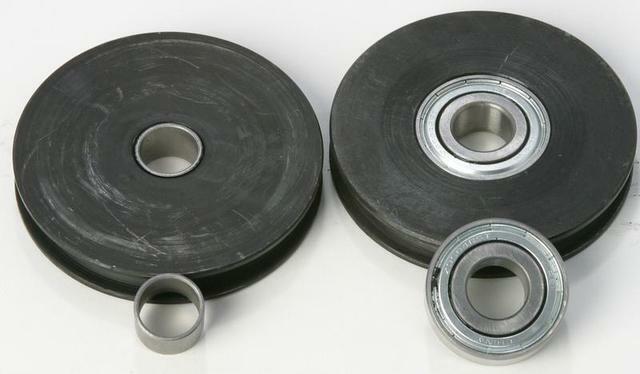 They are strong enough for a 7000 lb vehicle and weigh just 15 lbs each. They can be conveniently stored inside the parking ramps on our STG2 and ETG2 Residential Models.